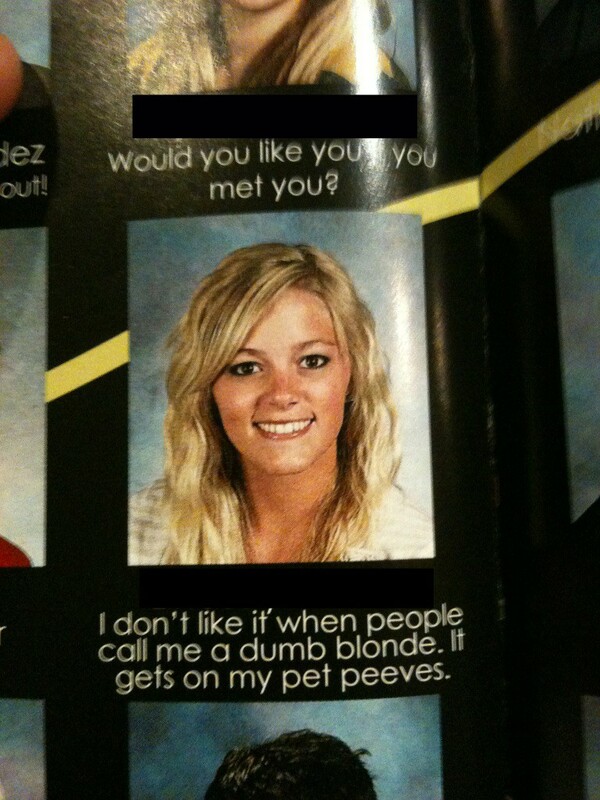 Funniest And Cleverest Yearbook Quotes Ever! 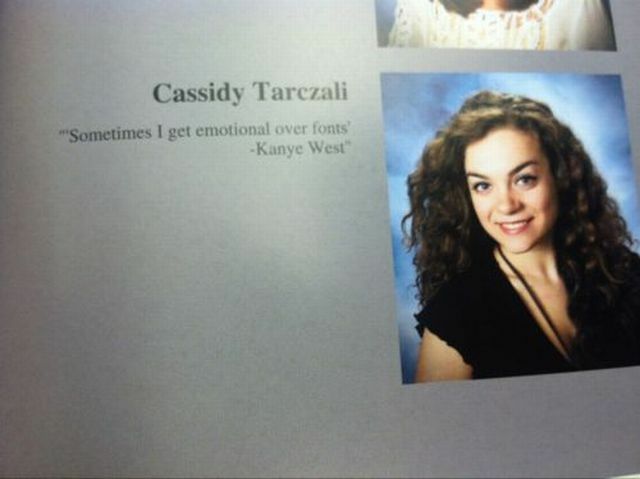 Yearbook quotes should be something that you can memorize years from now, and you may want to show it to your child, your grandchild, but look at these pictures, clever? Or just so embarrassing! And the worst part is, this is permanent! Is it because of your last name? What did he do? Nothing? We all love Canada. Yes we do.